Tien's a dude with three eyes whose best friend is a ghost child and maybe a vampire. That's pretty weird on its own. 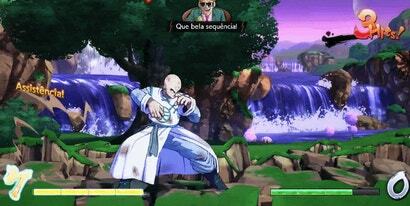 It also turns out he can turn people invisible too, by way of a recently discovered glitch in Dragon Ball FighterZ.